The Gospels are full of stories about Jesus eating with people. Jesus ate because he was human. Jesus ate with people because he was good people. Every other month, Oakland gets together just to eat each other's food and listen to each other's stories. You've got to eat dinner somewhere, so why not eat in good company. 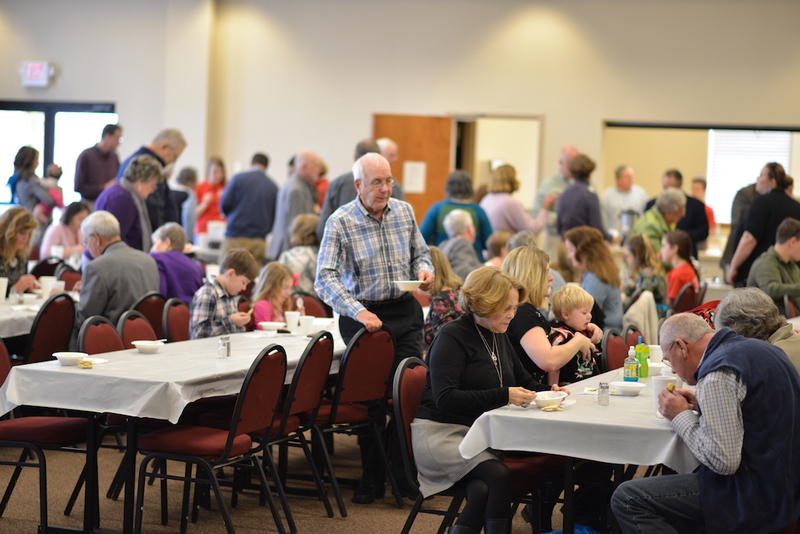 Posted in Events and tagged Chicken Pastry, Church Family, Connect, Eating Together, Fellowship Supper.